Ah the lovely month of May. Month of maypoles and burning virgins in Wicker Men. Or is that November? Anyway get your laughing chops round this little lot. First Trapdoor promoted gig of the month with the fantastic Wool. He’s been producing great solo shows for years now, Creator, I am Pawn is his latest. As ever the weekly comedy night presents some brilliant acts – this month there’s great Bristol act Sally Anne Hayward on the 3rd, as seen on the telly – Ed Gamble on the 10th, the delightfully idiosyncratic Joey Page on the 17th, fast paced Canadian Simon King on the 24th and the man who loves a Power Point – David Trent on the 31st. The comedy night that explores mental health launches its Edinburgh Preview season with tour de force Sophie Willan. Plus support from Danny Sutcliffe and James Meehan. Harriet Dyer emcees. All proceeds to Manchester Mind. A little shout out for the Store, which alongside the Frog, is one of only two venues in the city dedicated to comedy. 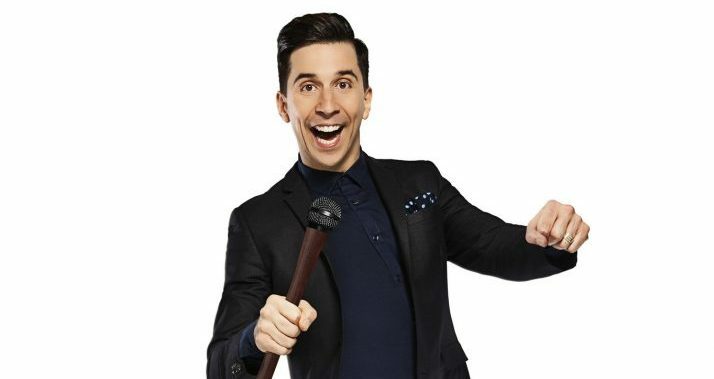 This month alone their weekend shows see performances from the likes of Rob Rouse, Jo Caulfield, Alun Cochrane, Justin Moorhouse, Jason Cook and Nish Kumar amongst many other talents. Comedy on your doorstep if your doorstep is in Chorlton. This month with the fantastic storyteller Tom Wrigglesworth and fab Oldham act Mick Ferry, plus with the aid of a computer Lost Voice Guy regains his voice and MC is Caimh McDonnell. To stop Johnny’s niece from crying after he upset her last year, Johnny and Paddy have embarked on a mission to save the world from climate change. The End is Nigh suggests they haven’t had much luck…still it’ll be funny and full of witty song. Group Therapy this month with a modern day legend of the comedy scene, Aussie randomist Sam Simmons. Plus support from another act who thinks outside the box – John Hastings and the eternally apologetic Ivo Graham. The Nigerian comedian’s début solo show Legal Immigrant is a playful fun hour that somehow manages to pose some pertinent questions about immigration without ever dropping that cheeky smile. A ‘weird, multimedia comedy hoe-down’ from the twisted minds of comedians Jayne Edwards, Jack Evans, Edy Hurst and Jon Whiteley. Featuring characters, sketches, skits, videos, songs and anything else that might make you laugh. Plus support from Chris Cantrill. Far more than just a resident of the comedy panel show, Lock is often cited as a comedian’s favourite act. Brilliantly penned gags, deadpan with just the right amount of absurdity dropped in. This month with the magnificently deadpan Michael J Dolan with support from Edy Hurst and David Stanier. Group Therapy’s second gig this month with acclaimed US stand up Patton. Plus rising comedy star Phil Wang supports. The special events at the Frog this month include Work in Progress night WIP on 25th, the hilarious Lip Synch battle on 26th and Laughing Cows with the wonderfully quirky Harriet Dyer on the 29th. And of course check out the rest of the month for all the great regular Monday, Thursday and weekend shows. Steel’s well known for his comedy shows with a fair bit of meat to them, usually of the political variety but this time around with Who Do I Think I Am it’s personal. Following the birth of his son, Steel decided it might be time to look for the woman who gave him up for adoption. The innovative producers of live comedy present a fine line up of acts with the bombastic Nick Helm, techy funnies from Adam Buxton and idiosyncratic poet Tim Key. Soon the Canadian will add Everest base camp to his list of places he has gigged. It’s probably not going to be the maddest gig he’s had. Don’t Look Down is the latest solo show from this hugely entertaining, intense and off the wall comic. Great stuff. With The Joy of Mincing Clary celebrates 30 years of double entendre. He may have swapped the PVC for smarts and Fanny is sadly long gone but the high camp lives on. Despite being clearly able to do the job, to be ‘eligible’ for the job of ‘yoof’ presenter Kane may have whittled a couple of years off his age. Here in Right Man, Wrong Age, he comes clean about age and how ridiculous it is to be pigeon-holed by a number. Round off the month with the off the wall Harriet Dyer, plus the equally out of the box Liam Pickford, Rosemary MacDonald and Scott Liversidge. As ever Kate McCabe comperes.